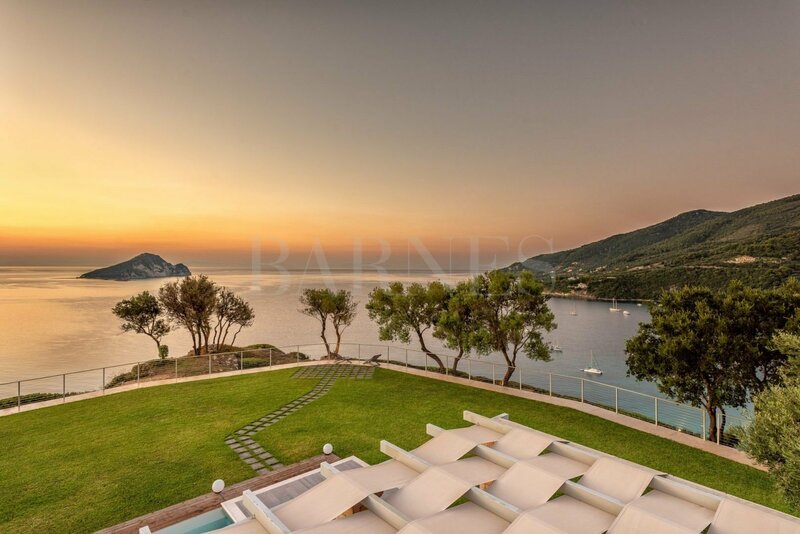 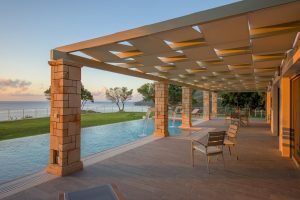 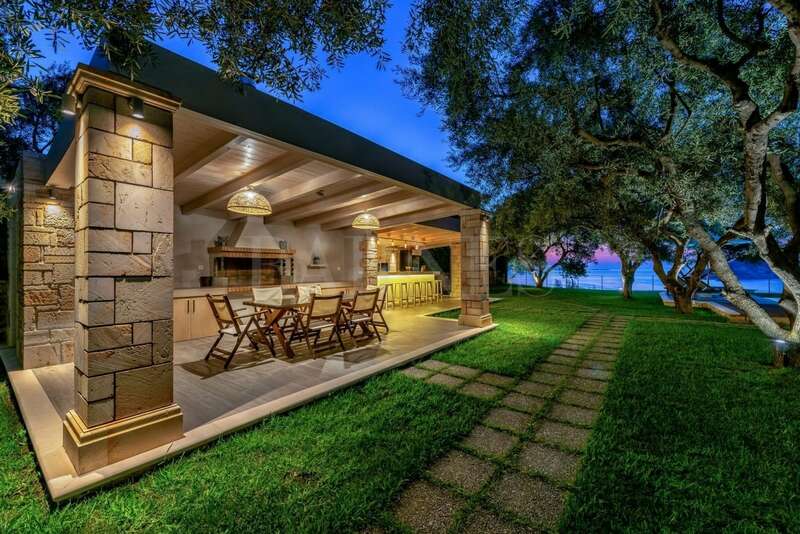 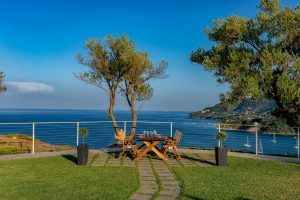 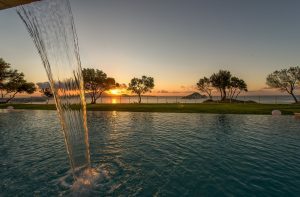 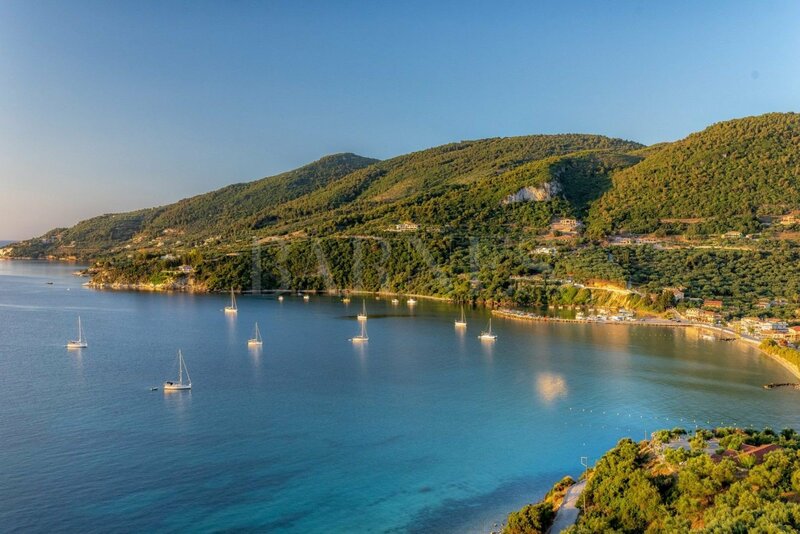 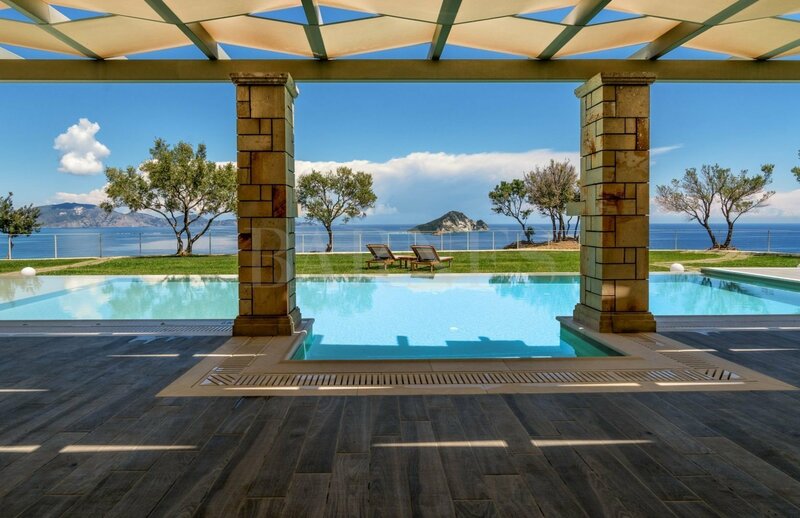 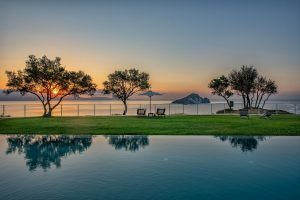 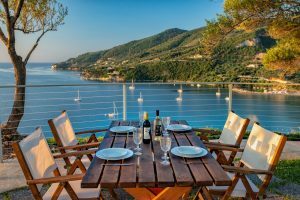 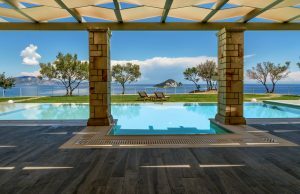 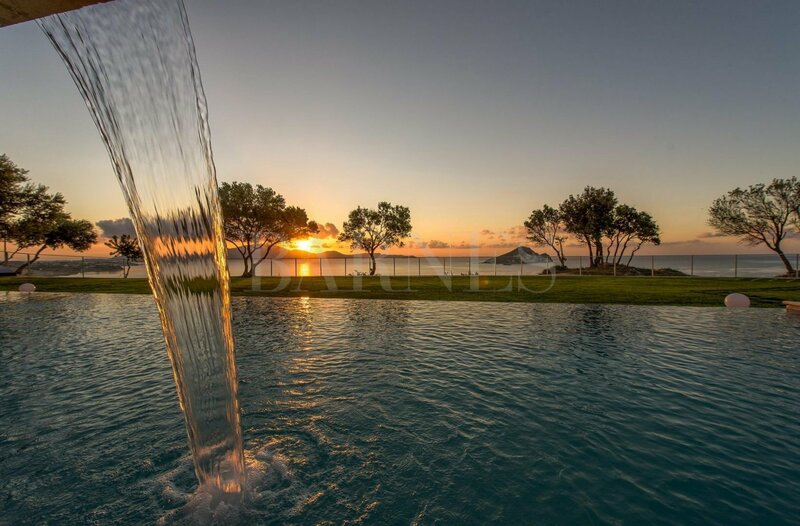 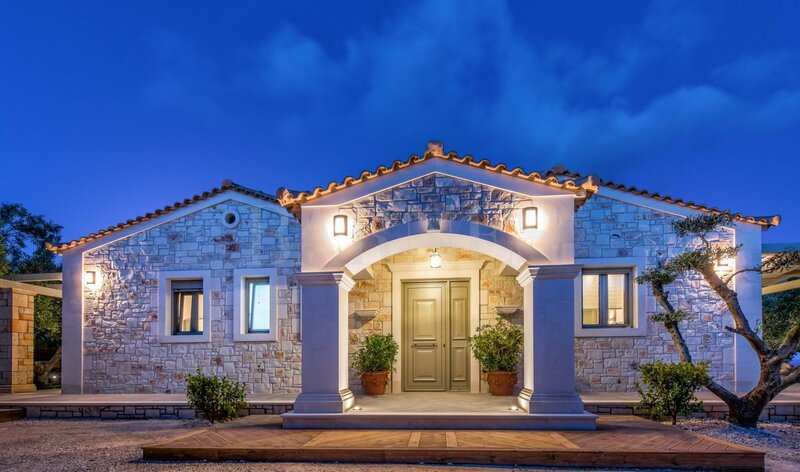 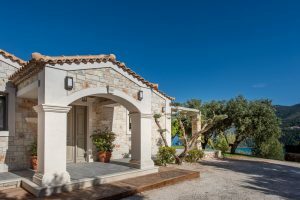 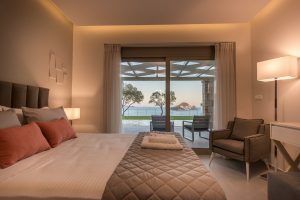 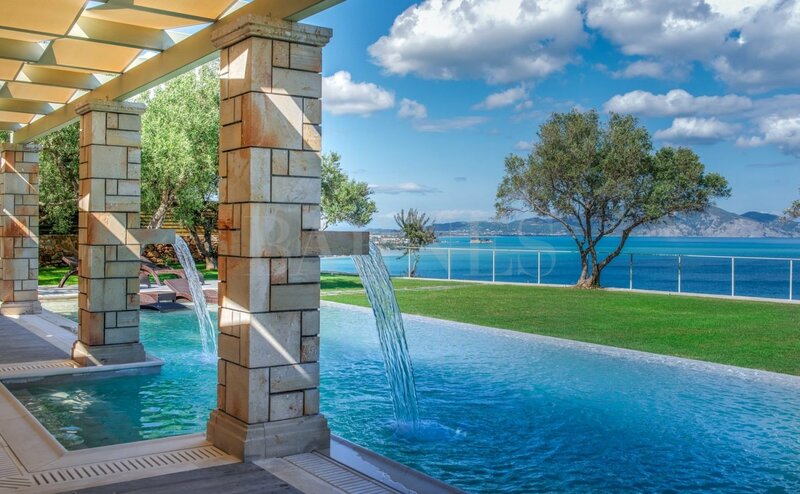 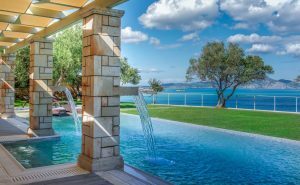 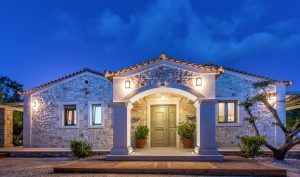 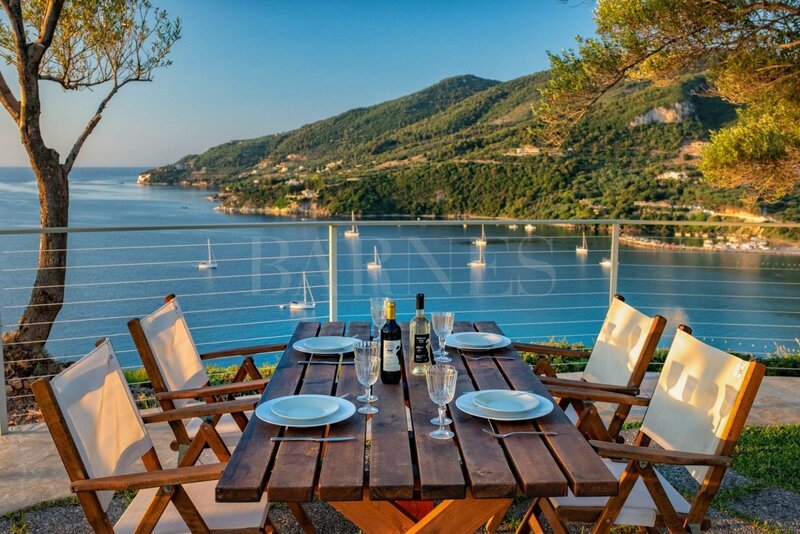 A stunning property on the island of Zakynthos, with a beautiful swimming pool and an amazing view to Keri Lake Bay and the Ionian Sea. 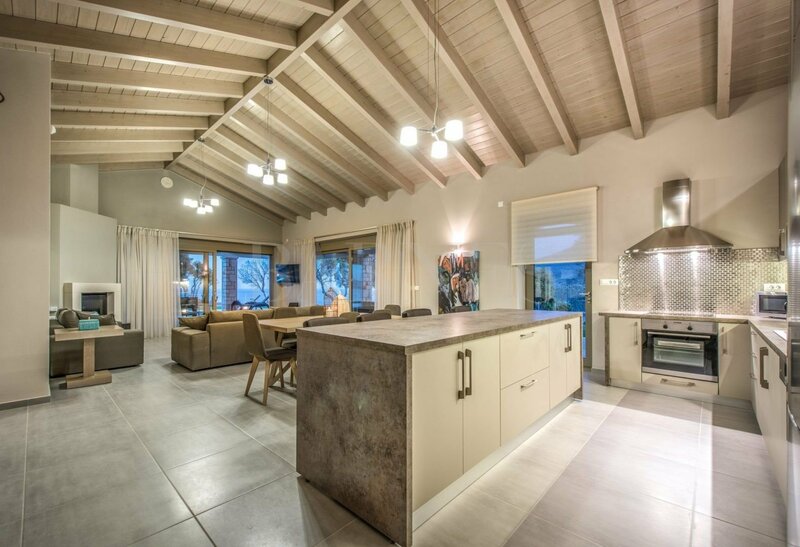 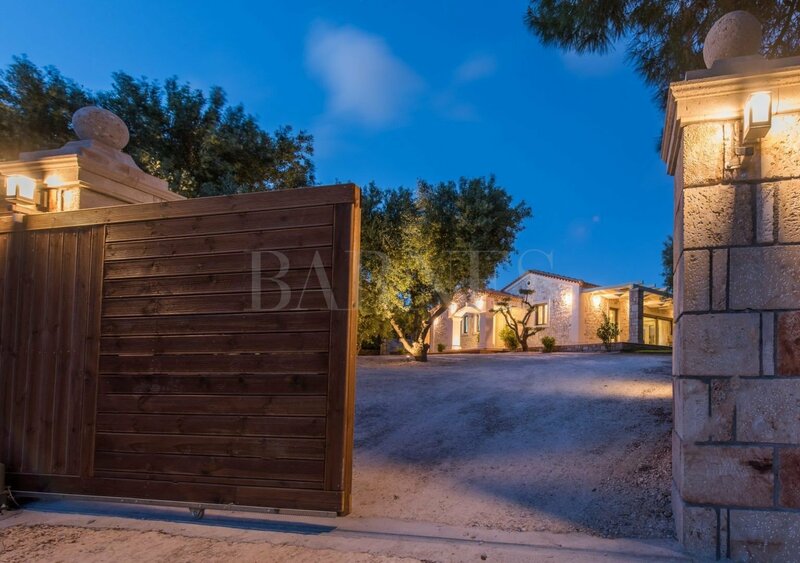 Τhe villa offers 165sq.m. 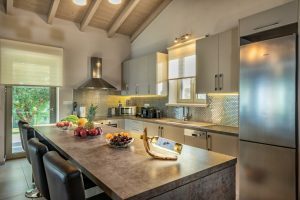 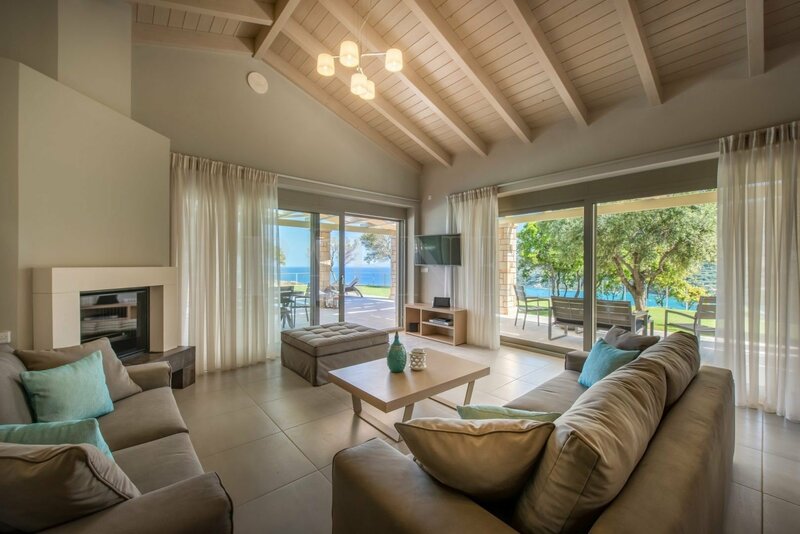 including a large living space with a magnificent view to the swimming pool, the sea and the garden, a fully equipped kitchen with all utilities and a large dining area, 3 large bedrooms, two of which with en-suite bathrooms and one extra bathroom. 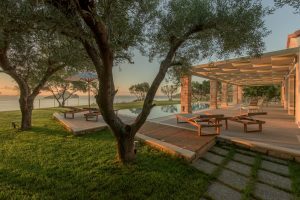 The property also features a splendid swimming pool of 16.5 m. x 5.5 m., an outdoor fully-equipped bar and a BBQ with an outdoor dining area, as well as a grass garden with beautiful tall trees. 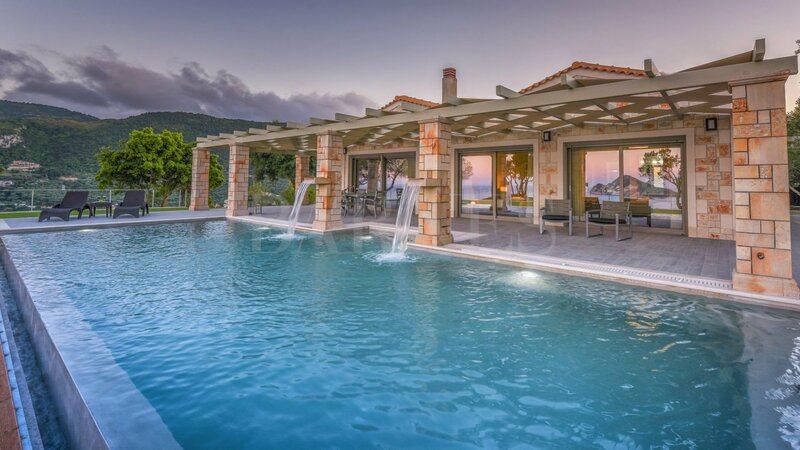 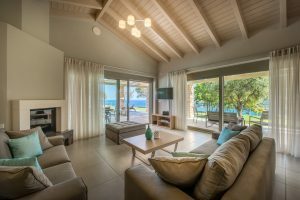 A dreamy villa on the wonderful island of Zakynthos! 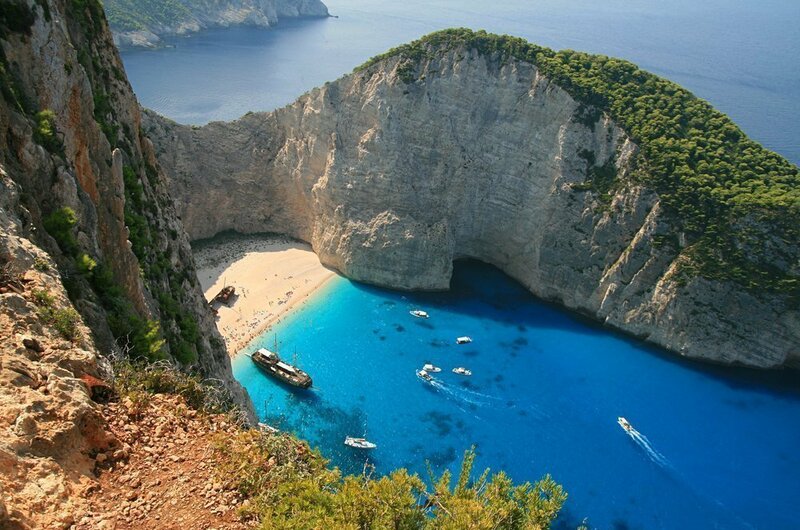 Zakynthos or Zante, the third largest of the Ionian islands, lies in the eastern part of the Ionian Sea. 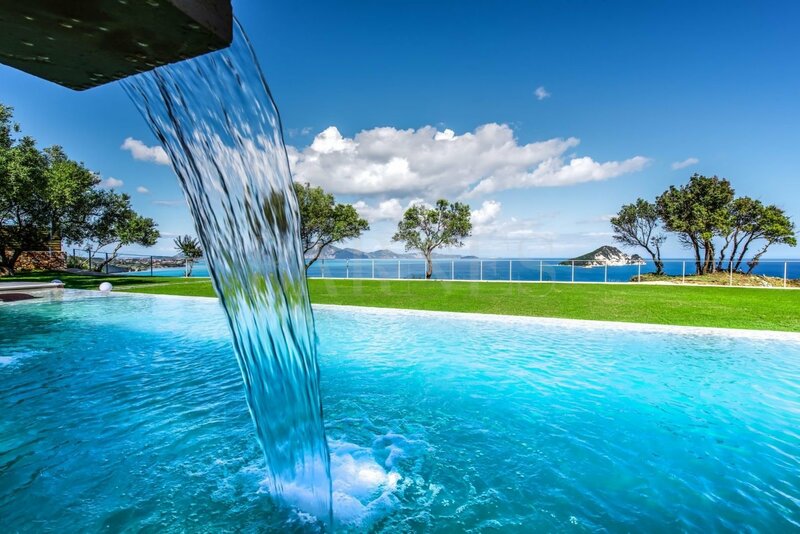 Because of its exceptional beauty, the Venetians called it Fiore di Levante, the Flower of the East. Northern and eastern shores of the island feature wide sandy beaches, notably Bochali which overlooks the peninsula of Vasilikos, while the western shore, from Keri to Cape Skinari, include numerous natural “blue caves”.